If your kitchen disposer has the sort of problem that prevents it from draining and hence your sink is starting to stink, you should call us. Chances are high that we can repair it. If you need a new one, we can show you how to install a garbage disposal. 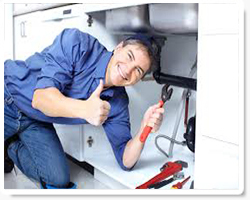 Our team is familiar with repairs and installations for all sizes of the units. We have some unique tips we can share with you to prevent clogged garbage disposal. But if you have this problem, we will make sure that it is solved easily so that you can get back to enjoying having home cooked meals. A waste disposal unit is your home’s best defense against germs. It is also a means of keeping your kitchen performing as well as it should. If yours is blocked for whatever reason, we can help clear it for you. We have many units in stock, also if you need to install a new one. 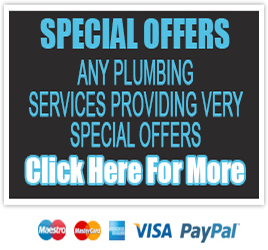 One of the best things about our services is that they are brought to you. 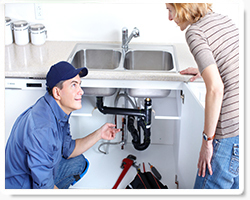 You don’t have to wait long either if you have a garbage disposal leaking problem. Our dedicated team will be at your home quickly and take care of this problem that can cause you to incur other problems such as rotten floor boards in your cabinets. Our work will therefore help you solve other problems down the road.